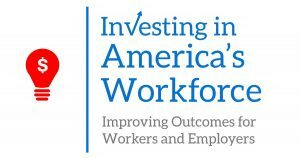 In this chapter from Investing in America’s Workforce: Improving Outcomes for Workers and Employers, Rob Grunewald looks both at how investments in early childhood development can reduce downstream costs and support workforce productivity decades later, and how the presence of quality childcare provides important workforce infrastructure that allows parents to enter the workforce and be productive at their jobs. Read this final chapter release prior to the November 9 book launch at www.investinwork.org/book. This report summarizes preliminary findings from the impact evaluation. Findings are based on analyses of comprehensive data on the treatment group and comparison group, made available from the institutional research data system at ACC. The report describes the participants served by the ACC SIP grant and examines participation patterns. The report presents early findings from the outcomes analysis, followed by a chapter outlining the impact analysis approach and presenting partial impact findings. The report concludes with a chapter summarizing key preliminary findings and outlining next steps for the evaluation. Since 2016, the Ray Marshall Center has been providing technical assistance to support Nuru International’s monitoring and evaluation (M&E) team. The Center’s experience and expertise supports Nuru’s work in Kenya, Ethiopia, and Nigeria by demonstrating the effectiveness and robustness of its integrated approach to addressing poverty. The integrated Nuru model seeks to address four key areas of need: 1) food insecurity, 2) inability to cope with economic shocks, 3) unnecessary disease and death, and 4) lack of quality education for children. In Ethiopia and Kenya, Nuru M&E utilizes a quasi-experimental design with the intent of measuring the effectiveness of the four impact programs as well as the overarching impact of these programs on multidimensional poverty. By following a panel of farmers from a non-intervention group as well as the same cohort of Nuru households over time, Nuru M&E evaluates whether or not any observed changes in well-being can be attributed to Nuru programming. Additionally, M&E analyzes key performance indicators to ensure programs track toward their goals. Since 2017, RMC researchers have been responsible for carrying out data analyses for the Nuru M&E team and studying the outcomes and impacts of Nuru’s programming in Ethiopia. Findings from the analyses are used by the Nuru M&E team to inform program planning and decision making. In this report, RMC researchers present results from an outcomes and impact analysis of Nuru’s Rural Livelihoods, Health, and Education programs in Ethiopia in 2017. From March 2018 through May 2018, the Ray Marshall Center provided technical assistance to support A Glimmer of Hope Foundation’s monitoring and evaluation (M&E) efforts. The RMC’s experience and expertise supported Glimmer’s work by demonstrating the effectiveness and robustness of its integrated approach to addressing poverty. In the first phase of technical assistance, RMC conducted an in-depth review of Glimmer’s baseline assessment study design and baseline assessment tools, and provided recommendations based on best practices from the literature. In the second phase of technical assistance, RMC conducted an in-depth review of literature to understand the primary factors driving poverty in Ethiopia; interventions currently being implemented to address these factors; specific interventions that have been shown to be most effective; and interventions, issues, and target populations that other actors (government/NGOs) are addressing in the area and their effectiveness. In this report, we provide strategic advice and recommendations on the selection of appropriate target populations and appropriate target interventions for Glimmer (specifically in the livelihoods and education sectors). In a newly posted chapter from Investing in America’s Workforce: Improving Outcomes for Workers and Employers, the authors explore results from a survey of over 1,600 businesses. 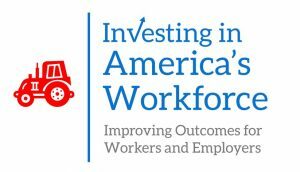 Findings reveal a valuable relationship between employers who provide learning benefits and employees who take advantage of these programs. 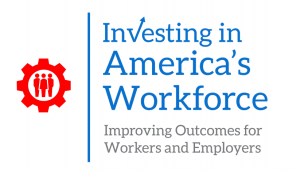 For small and midsized employers in particular, employer-provided education programs are influential in achieving employers’ organizational goals. Read the chapter at investinwork.org/book and stay tuned for the book launch on November 9!